Dorm decorating, organizing, and accessorizing has never been so easy! Whether you're a high school senior or the experienced collegiate, upgrading, changing, and designing your dorm room is always a fun pastime. 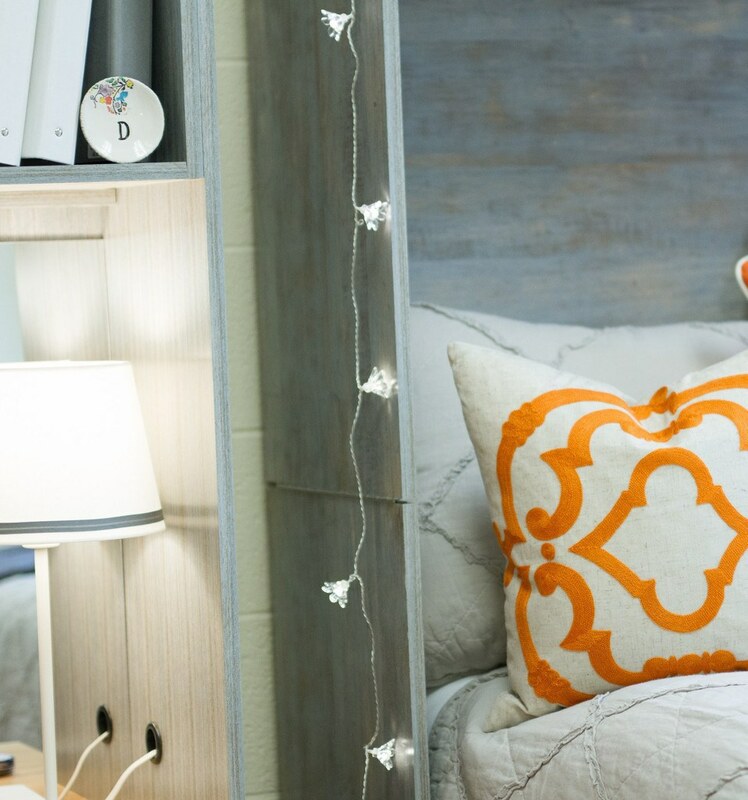 A company by the name of Dorm Decor in Alabama specializes in refined campus living for all students! 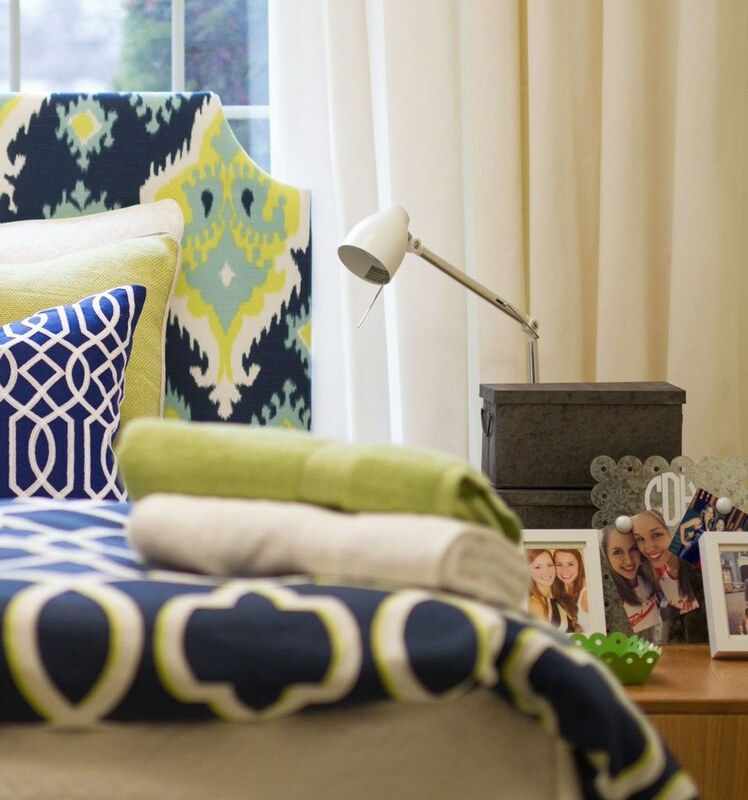 As an interior designer and event planner, Alison Gorrie and Kate Phillips both had an entrepreneurial spirit that led to the success of the original product, the Dorm Cubby, and their complete line of dorm accessories. 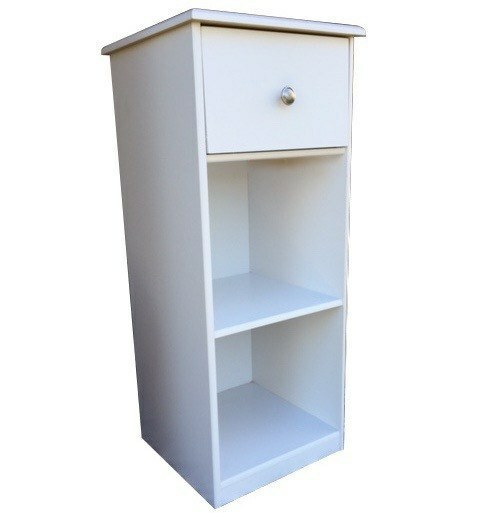 The Cubby line creates a space for organization as well as a stylish appeal. 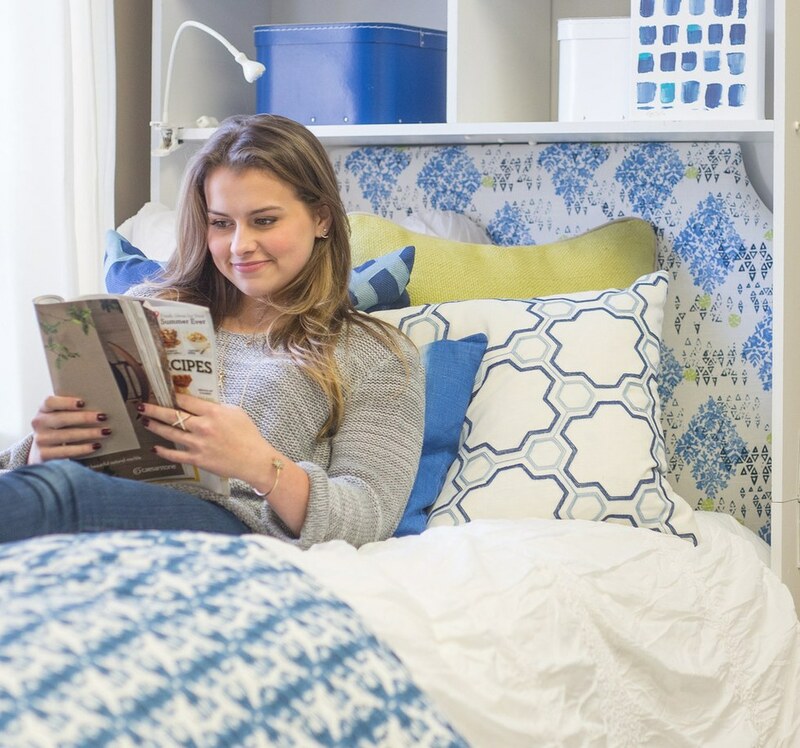 The Bed Cubby is the ultimate vertical storage unit that every college student needs. The perfect nightstand to fit by your dorm bed. Built narrow to use a minimum of floor space and it's tall enough to work with a semi-lofted bed. Comes with a generous drawer and two deep cubby shelves. A dorm room desk isn't just for studying and storing books. It often serves as a vanity to do makeup and hair, as well as a catch all for pretty much everything. Desk organization is critical to getting ready on time and finding what you need. A Desk Cubby provides vertical storage to help you stay organized while adding high style to your dorm room. This acrylic mirror fits perfectly inside your cubby and is perfect for makeup or even reflecting a bit more light! 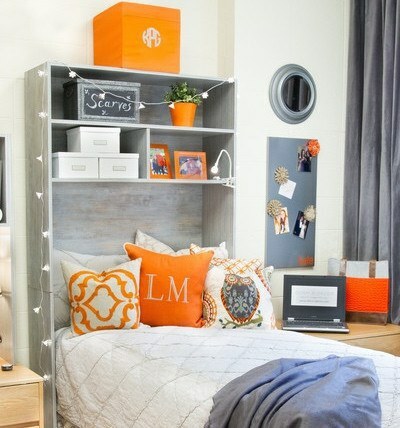 The Headboard & Headboard Pillows fit nicely under the Cubbies and provide a beautiful accent to any dorm room. 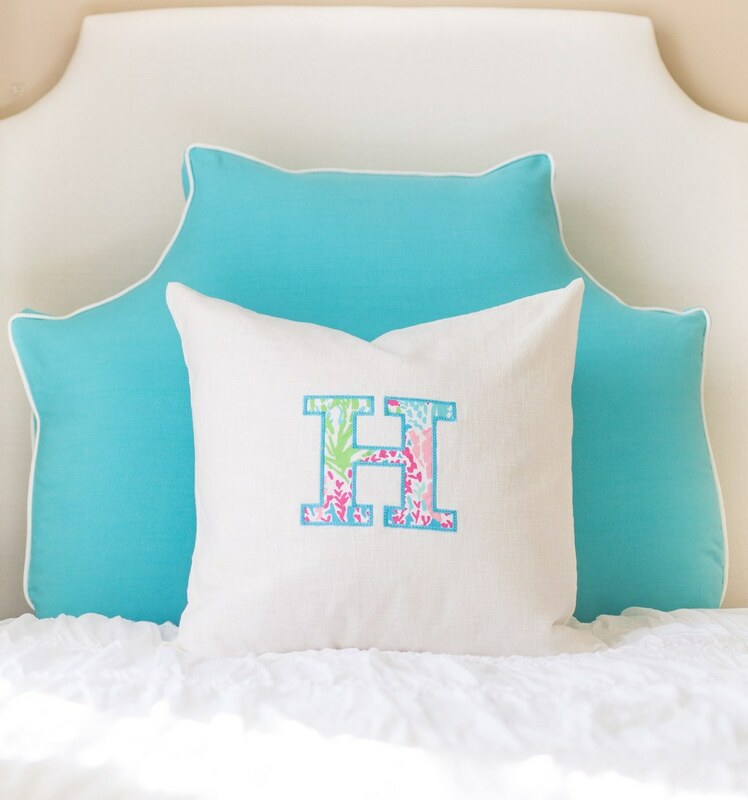 These can also be monogrammed for extra personalization. Already a Dorm Decor favorite this oversized pillow in the classic belgrave headboard shape is comfy and cozy. It works no matter how high you loft you bed. Available in beautiful colors with white piping. 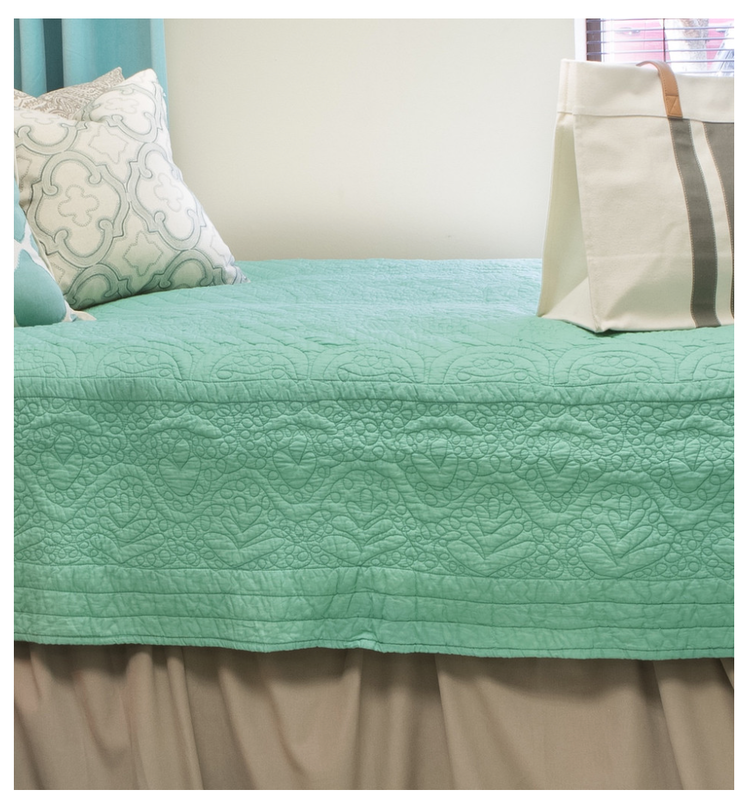 Everyone needs an adorable quilt or comforter for their dorm bed! DD carries classic and quality bedding that can be used for years! Ventanas quilts are feature hand guided quilting in a combination of intricate stitching detail and workmanship. Roberta Roller Rabbit always makes a statement in the bed room, dorm room, or any room. 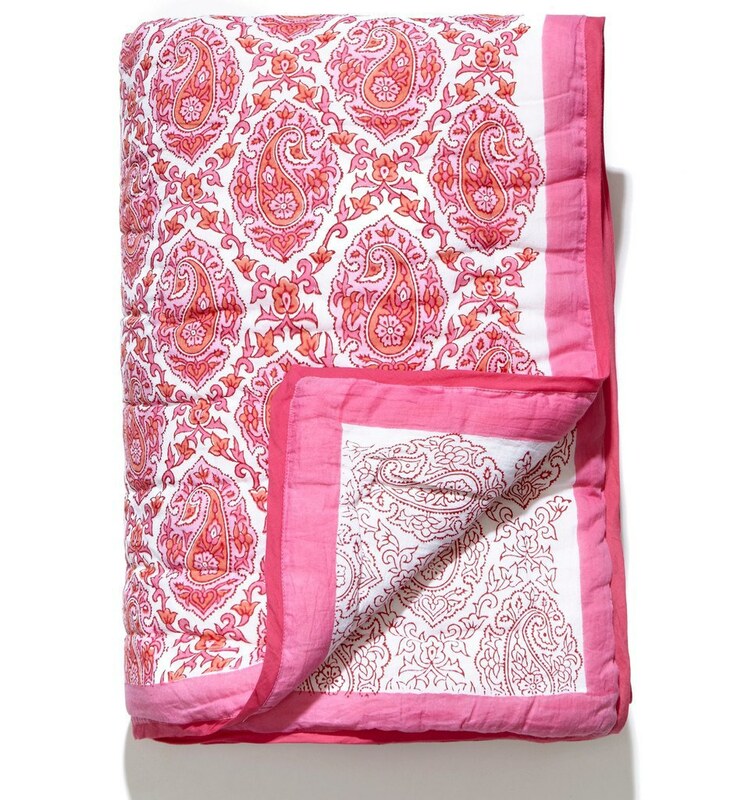 These quilts are light weight, soft, warm in the winter and cool in the summer. A delight to snooze under. The florescent lights of the dorm are not always ideal. Make your space warm and inviting with these beautiful lights! 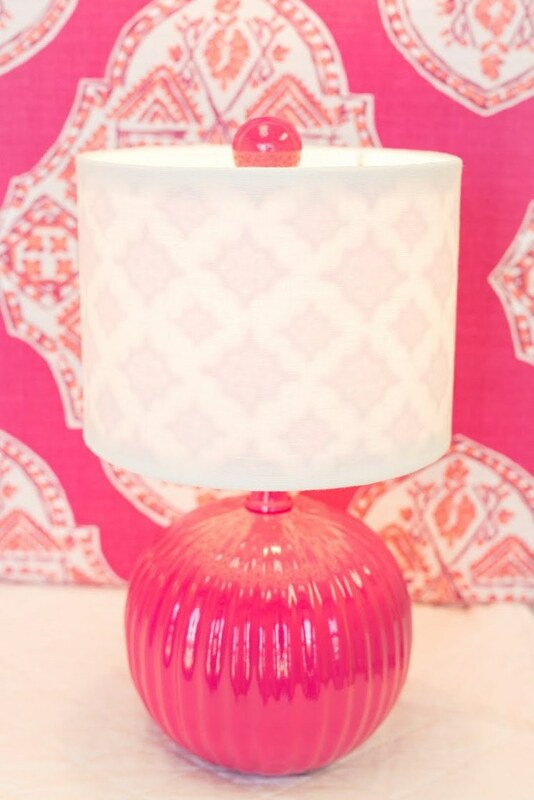 Ceramic lamp base with fabric shade in an intriguing pattern that is a perfect addition for your desk or dresser. Halogen reading lamp with adjustable lamp arm and head so you can direct the light where you want it go. Flower String Lights are great for giving your dorm a cozy feel. This great store is collapsible and stands alone. 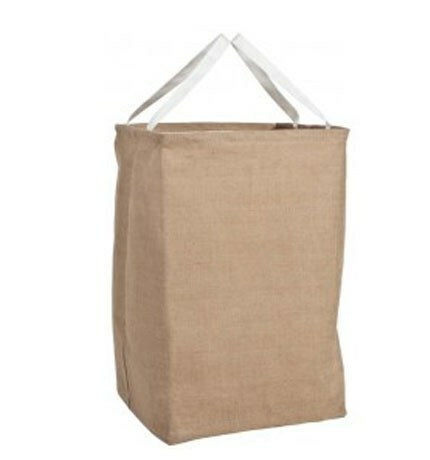 Perfect for laundry or loading down for those between semester trips back home. Named after the exclamation you declare when sitting down in these beauties, the Oh! Chair by designer Karim Rashid for Umbra® is a dorm favorite! Constructed of polypropylene with new matching matte finish steel legs, and new nylon feet that won't scratch floors, its ergonomic, kinetic design flexes for comfort, yet offers excellent support. Light weight, but sturdy enough to sit on without sinking or toppling over. Perfect additional to any dorm room. Crystal clear acrylic jewelry box with bottom drawer and hinged upper lid to keep your accessories organized. Enamel button magnets in a variety of colors are super strong and come packaged in an adorable little bag with a delightful grosgrain ribbon. Charming metal wastebasket with wavy edge.Perfect for desk or bathroom. Create a graduation gift registry to get exactly the things you need and want! Use the code "megandellinger" at checkout for 5 percent off your order!